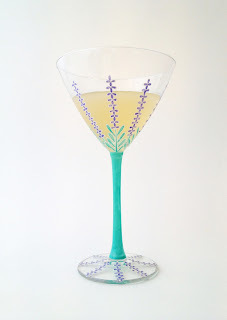 I am always on the look out for new cocktail inspiration and last week it came from Gin Monkey, whose fabulous website gives independent and impartial reviews of cocktail bars in the UK and around the world. I am an avid user of twitter and was following the exploits of @GinMonkeyUK, tweeting about cocktail bars in Prague and in particular, the Hemmingway Bar where one of the drinks on offer was a Lavender Martini. 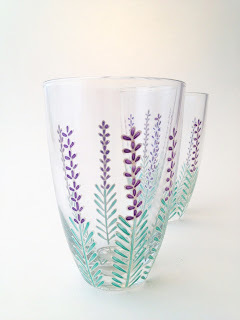 As a huge fan of anything with lavender in, this instantly got my attention and I set to work, tracking down lavender to make lavender syrup, full details of which you can find by going to my Lavender Syrup post. 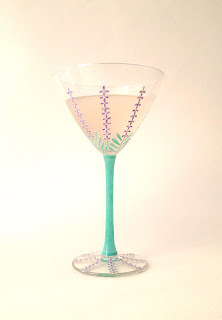 Having made the lavender syrup, the first recipe I tried was a classic martini with the addition of lavender syrup. I have to admit that I am not a lover of neat spirits, hence my love of cocktails and whilst I can appreciate the nuances of a neat gin for tasting purposes, I would find it hard to drink a whole shot. Therefore, I am perhaps not best placed to judge this impartially, but I have to be honest, this was a tough drink to get through. Gin is very aromatic and the lavender syrup is very floral. Combined with only a little vermouth and bitters, no amount of shaking will disguise the fact that there is a lot of alcohol in there. The result, I have to say was a bit like drinking your grandmother's perfume. That said, I did drink it all, albeit, very slowly and if you are a fan of the classic gin martini (and/or Yardley), then do give it a whirl. I am definitely going to experiment a little more with some of the more classic cocktails and see if I can't educate my palate. Slightly deflated by my result, I decided to try another recipe, loosely based on the martini, using home made vanilla vodka. You can find out how to make it in my Vanilla Vodka post. Don't worry, it's ridiculously straight forward. The resultant drink here, was far more to my taste. 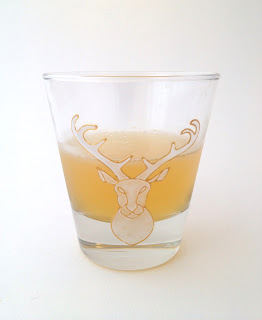 The vanilla vodka has a slight natural sweetness and a little earthiness that is a suprise hit with lavender which is used to a lesser degree in this recipe. The lemon juice works very well with lavender and gives the whole drink a nice sweet/sour balance. For me, this was a big hit and my independent tester, neighbour Amy (Mr TG is away), enjoyed it too. She did comment that it too, was reminiscent of Yardley, but not in a bad way. This next cocktail is a great, refreshing drink that marries together the obvious pairing of lemon and lavender. It makes a fantastic non-alcoholic drink, minus the alcohol and is delicious with either gin or vodka. I have chosen to go with gin on this occasion as the botanicals that flavour gin really add more depth to the drink. I wanted to try a different gin this week and so tested Blackwoods Vintage Gin, made using botanicals from the Shetland Isles. The gin is very competitively priced and really does deliver. The label stated that amongst other things, it was distilled using violet and water mint, both of which I could discern from sipping it neat. It was slightly floral and fresh and seemed perfect for this drink. 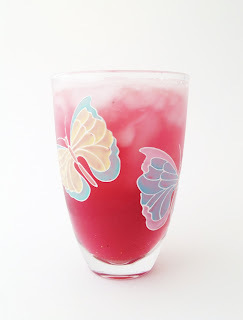 Keeping with the long drinks, in the hope that the sun will start shining again and I can sit in the garden, sipping iced cocktails, this next drink mixes vodka with dark, berry fruits, lavender and citrus. It is quite sweet, depending on how much sparkling water you use to top it up. For my tastes, I would only half fill the highball with ice, leaving more room to add sparkling water, making a longer, more refreshing drink. Muddle (squish) the blueberries in the bottom of a shaker with the lime juice. If you don't have a muddler, then improvise with a pestle or handle of a cooking implement. Add the vodka, cassis and lavender syrup to the shaker. 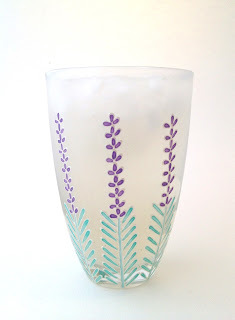 Half fill with ice and shake vigorously before straining into a highball glass, half filled with ice. I was pleasantly surprised to find that I liked this and who knows, maybe, in the same way as I have been with tequila, I'll be persuaded to choose it more often. I'm not sure what whisky purists would make of it, but I think anyone who enjoys a whisky with a mixer, will approve. All of the spirits and liqueurs listed are available to buy at Amathus Drinks (see link to their shop on the left of the page) or similarly high quality purveyors of wines and spirits. I keep detoxicated hangover pills with me at my desk incase of a last minute happy hour invitation after work. I tend to really red and blotchy when I drink- which can be embarrassing. I like to call Detoxicated the best way to prevent Asian Glow and hangovers!